At Auburn Dermatology, our services revolve around making you and your skin the healthiest it has ever been. Acne is the most frequently diagnosed skin condition in the United States. It is characterized by pimples that appear on the face, back and chest. 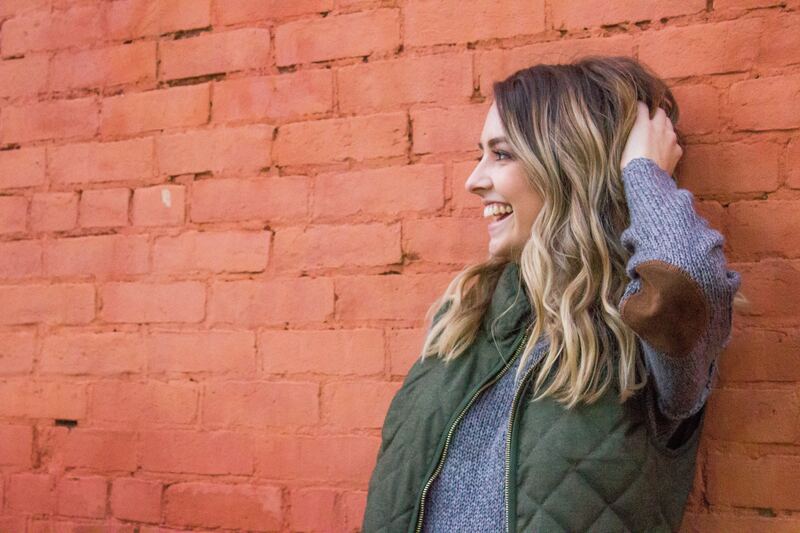 Our doctors specialize in treating chronic acne, and utilize smooth beam laser therapy to reduce acne scarring and fine lines with long-lasting results. Skin cancer is the most common form of human cancer, affecting more than one million Americans every year. One in five Americans will develop skin cancer at some point in their lives. Skin cancers are generally curable if caught early. Moles are brown or black growths, usually round or oval, that can appear anywhere on the skin. Most moles are harmless, but a change in size, shape, color or texture could be indicative of a cancerous growth. Wrinkles are a natural part of the aging process. They occur most frequently in areas exposed to the sun, such as the face, neck, back of the hands and forearms. Over time, skin gets thinner, drier and less elastic. 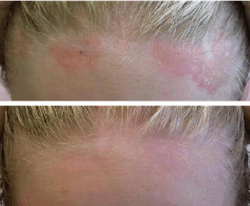 Psoriasis is a chronic, incurable skin condition that creates red patches of skin with white, flaky scales. Our doctors specialize in treating psoriasis with light therapy and biologics, as well as oral medications and prescription topicals. Warts are caused by different forms of Human Papilloma Virus (HPV). They occur in people of all ages and can spread from person to person and from one part of the body to another. Warts are benign (noncancerous) and generally painless. More than 14 million Americans suffer from rosacea. It is not contagious, but there is some evidence to suggest that it is hereditary. 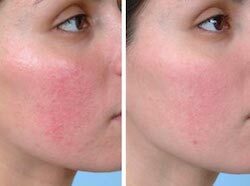 There is no known cause or cure for rosacea.